This is an excerpt from a message that arrived in my inbox yesterday. "I enjoy and learn from your blog and respect your high standards for genealogy research. However, I have not enjoyed your forays into the unpleasant Cherokee election and beating up on the misguided person who wants James Keith to be Crane Eater." I think we have a few important points made here. The first, and most important, falls in the area of my audience. I primarily write for the Cherokee people. Though the election was a nightmare and dragged out entirely too long, it was something the Cherokee people were extremely interested in reading about. They wanted to know what was going on each step of the way. There was a lot of confusion and people needed information. 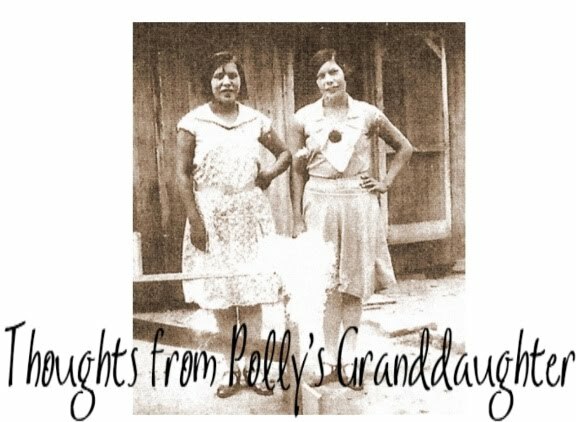 To my non-Cherokee readers, thank you for bearing with us during the difficult and stressful time and allowing me to use the blog as a place to share that needed information. Another important point made is about the "misguided person who wants James Keith to be Crane Eater." Not only does that show everyone except this "misguided" person understands that James Keith is NOT Crane Eater, it also shows how tired one can grow of wannabeism and how serious of an issue it truly is. Yes, we all know James Keith was not Crane Eater. WE ALL KNOW THIS! But guess what? The descendant of this man refuses to accept it. I see it. You see it. We ALL see it. Unfortunately, she refuses to accept it. This situation has been a text book example of what a wannabe is and how they behave when we, Cherokees, refuse to allow them to steal our identity and attempt to re-write our history. Not only do they continue to cling to their fabricated family history, they try to discredit us and do everything in their power to make us look like the bad guy in the situation. It is rare that such an opportunity would arise where I can show my non-Cherokee readers what we Cherokees go through every single day. Yes! Every single day, there is someone, somewhere who will tell us they are Cherokee, just like us. The magnitude of this culture and identity theft is enormous and it is never ending. 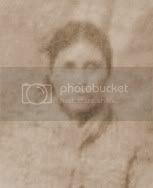 Because it is never ending, I think it is important to capitalize on this opportunity with Crane Eater to show how a fake can become so obsessed with being Cherokee (and in this case, proving Cherokees wrong) that they refuse to see the truth, no matter who shows it to them and no matter how many different ways it is shown to them. When readers start to email me that they are growing tired of it, then I know I have accomplished my goal -- to show non-Cherokees how tiresome this wannabe thing gets for us. Can you now see how a "misguided" person won't give up the claim of being Cherokee, even when they aren't? Can you see how they lie and attack and try to discredit us? This is EXACTLY what wannabes do when they are not allowed to continue with their fake claims. This is EXACTLY what wannabes do when REAL Cherokees say, "No more." This blogger has tried to discredit me, my friends and anyone else that speaks out against her claims. Sad, but typical wannabe behavior. This blogger has numerous comments on her blog that support her and post nasty things about me and other Cherokees, but most are made by "anonymous." To be honest, most of us believe she is leaving comments for herself, since anyone with any real knowledge of genealogy would not support what she what she writes in her blog. I mean, think about it. An anonymous comment means nothing. Unless a person is willing to sign their real name to it, there is no substance to it. Just one of the reasons I have stopped allowing anonymous comments on this blog. If you have something to say, say it, but at least have the backbone to also sign your name to it. So yes, dear readers, I understand people are sick of reading, hearing, learning about Crane Eater. I get it. I really do. But it is important to see, to understand, this problem the Cherokee people have with fakes who desperately want to be one of us. Even when there is no real proof, they will often create something to show what they want. It is absurd. Our history is our history and no one has the right to try to re-write it just so they can be a part of it. Either you are or you aren't. It is that simple. Yes, this misguided person wants her ancestor, James Keith, to be the Cherokee man, Crane Eater, but he isn't. I see it. You see it. Everyone sees it, except her. Do you think she will ever accept the truth? Hard to say. I guess it will come down to the difference between a person searching for their true history and a wannabe. Does she want to know the truth, no matter what it is, or does she wannabe a Cherokee? You tell me.